Just think about the shoes that we wear to be fashionable; even though they cause pain to our feet, we continue to wear them. But just imagine what they’re doing to our joints and other ligaments. According to an article titled “Eight Tips for Buying Shoes That are Good for Your Feet“, by Harvard Medical School, a Harvard Health Publication, there is an exercise that we can do to identify the shoes that are not necessarily good for our feet and likely contribute to joint pain. The exercise is simple. Pull the shoes that you wear often out of the closet and set them aside. Then stand on a piece of cardboard or a large sheet of paper and trace the shape of your feet. Take the shoes that you normally wear and place them over the outline of your feet. If the shoes are not shaped the same way that your feet are, it’s highly probable that those shoes not only cause pain to your feet but also to your joints. According to the arthritis foundation, we often sacrifice style for comfort which could have huge consequences. According to Marian Hannan, an Associate Professor of Medicine at Harvard Medical School and the Co-Director of musculoskeletal research at the Harvard-affiliated Institute for Aging in Boston, making a healthy choice for our feet is like eating a good diet and getting regular exercise. Choosing the type of shoes we wear can minimize or maximize the pain that we experience every day. Hannan also adds that someone with arthritis in their knees, hips, ankles or feet who also wear the wrong shoes can exacerbate existing problems later down the road. 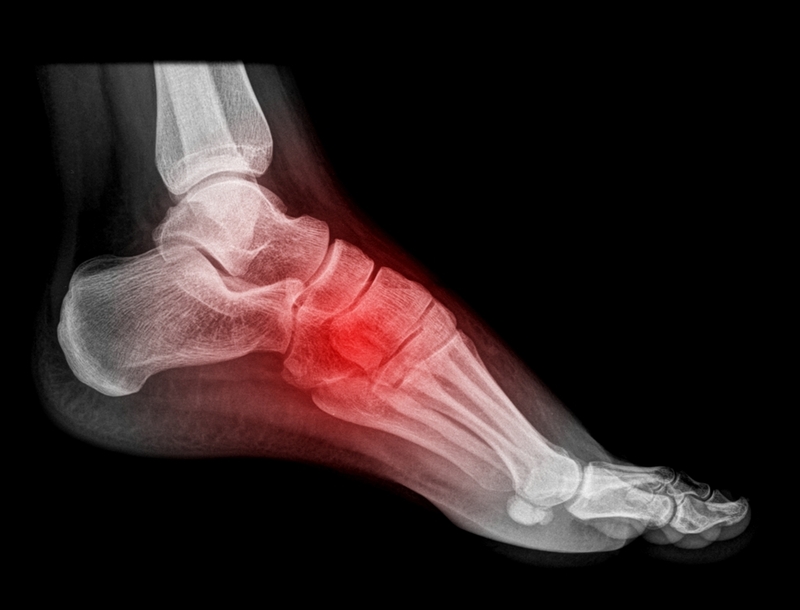 This can cause damage and complications to many of the joints beyond just the feet. The following are some of the best and the world shoes that experts believe have the greatest impact on joint pain. High heels are defined by the experts as those that are two inches high or higher. The experts indicate that they are bad for everyone’s feet, but more particularly for anyone that has arthritis. High heels according to the experts are hard on the arch and the ball of the foot, which tends to wear the joints down according to Byron according to Bryan West, a Podiatric Surgeon based in Lavonia, Michigan. As an alternative, experts recommend Earthies, which is a brand new line of high heel shoes by Earth Footwear. They feature more of a cupped heel along with other features that benefit those with joint problems, such as an anatomical arch as well as a cradle toe area that is capable of evenly distributing the weight. According to the experts, low heel shoes can also create the same kind of problems as high heel shoes, but just not to the same degree. Some of the pain and the problems that are associated with low heel shoes is its pointy toes. According to researchers at the Chicago Rush University, they have found that there is a different amount of stress caused by different shoes worn by those who have been diagnosed with osteoarthritis. Flip-flop shoes reduce the stress associated with joint and knee pain. Najia Shakoor, also a rheumatologist and associate professor of medicine at Rush University has also indicated that both flip-flops and being barefoot both reduce the knee load by roughly the same percentage. We’ve all heard the old saying that an ounce of prevention is better than a pound of cure. Well, the same is true when dealing with finding shoes that reduce joint pain. According to the Mayo Clinic, wearing walking shoes that actually fit your feet and are comfortable to wear can be helpful in preventing additional injuries. They also added that walking shoes should be relatively lightweight as well offer good shock absorption to the foot. Knowing the shape and size of your feet will help you make better decisions when purchasing shoes. The arch type, which helps evenly distribute your body weight across your feet as you walk. It also helps your feet better adapt to different surfaces. Neutral-arched feet. Feet that are not overly arched or overly flat. Low-arched, flat feet. Often contributes to muscle stress as well as joint problems. High-arched feet. They add excessive strain on the muscles and joints, as high-arched feet does not always absorb shock that well. To conclude, knowing what to look for in a shoe is as equally important as understanding the shape of your foot. The way a shoe is built plays a huge role in the way it fits, feels and functions. Shoes that provide stability and cushioning is what you should look for to prevents joint pain.